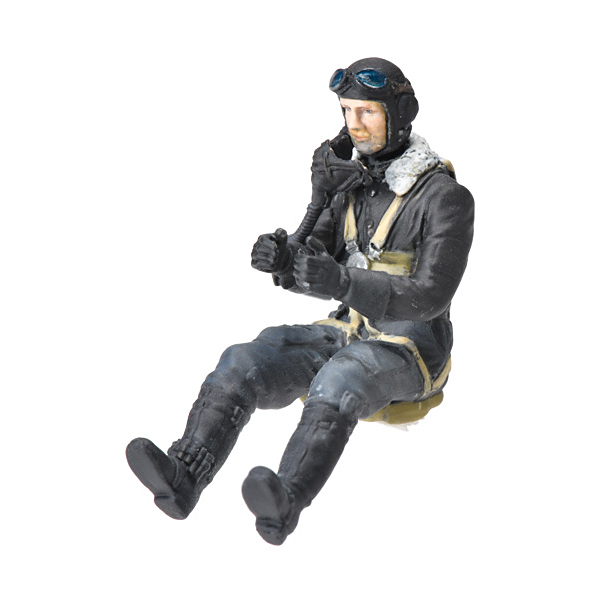 Resin-cast Zoukei-Mura Dornier Do 335 Forward Facing Pilot Figure in 1/32 scale is masterfully sculpted and detailed. Authentically outfitted Luftwaffe pilot fits perfectly in the Do 335 cockpit and includes 2 different heads: one with mask on and one with a separate mask, plus separate arms. Note: This item requires assembly and painting to match the item shown.